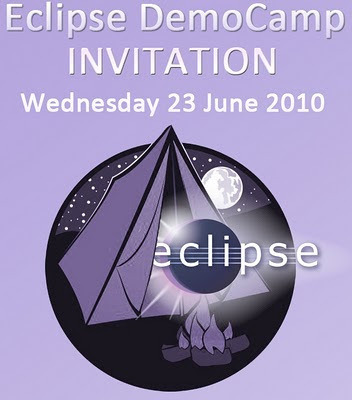 We would like to invite you to attend the Eclipse DemoCamp in Nieuwegein which will take place at June 23. We will celebrate the Helios release at the end of June and the e4 release in July. The Eclipse DemoCamps are an opportunity to showcase all of the cool technology being built by the Eclipse community. This is also an opportunity for you to meet Eclipse enthusiasts in your area. to the Eclipse Foundation for the text and Vahid "Pixels" Vafai for the cool graphics.